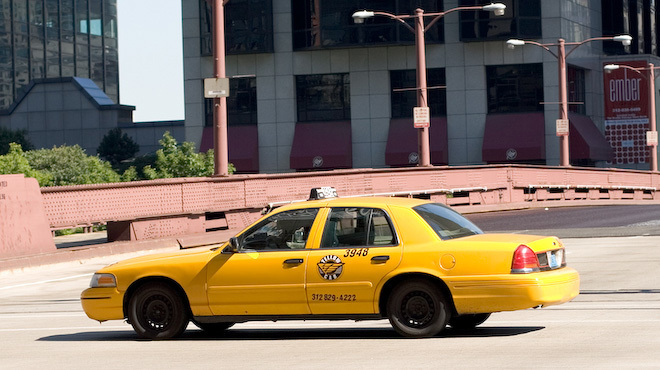 Whether you’re a visitor or a lifelong resident, getting around Chicago comes with its share of challenges no matter how you do it. The CTA gets delayed, bike lanes get taken over by construction, rideshare rates surge, roads get closed—it’s always something. 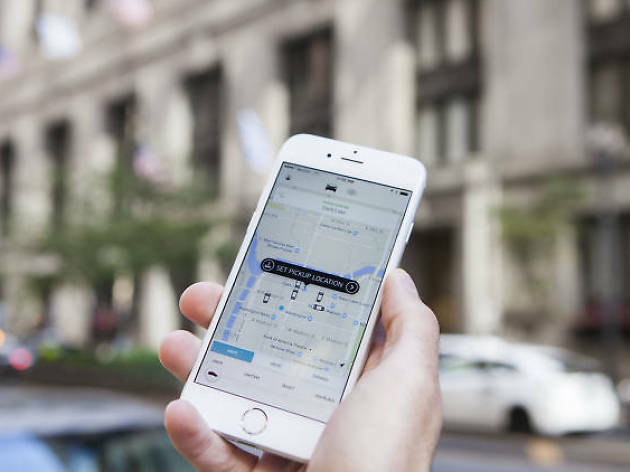 Luckily, there’s a whole host of mobile apps that can help ease your commute, whether you’re riding the Metra or renting a Divvy. 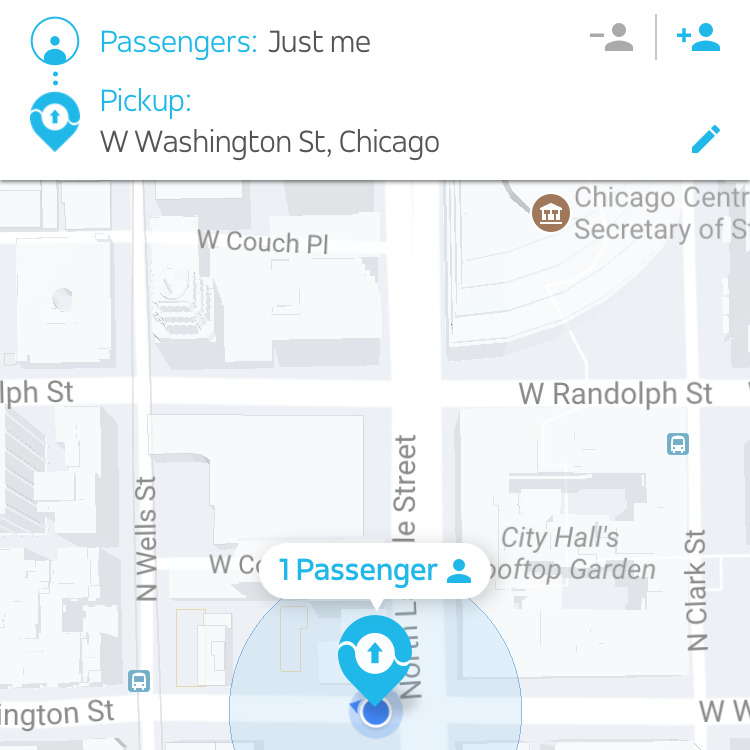 You already know Uber and Lyft, but if you haven’t used these essential Chicago apps, start downloading. 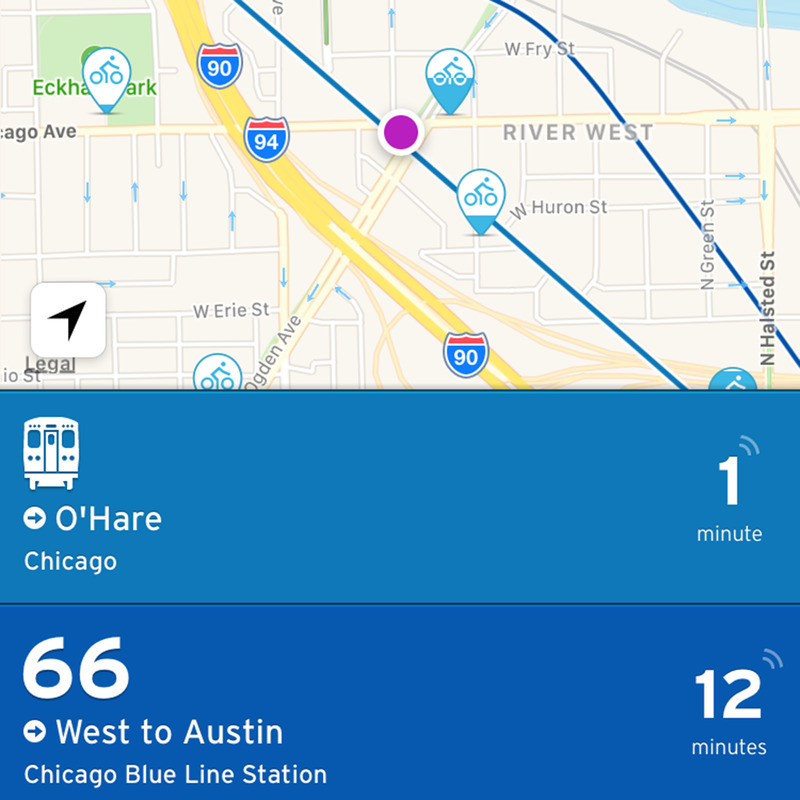 Hands down the best app for tracking CTA buses and El trains, Transit App uses your location to show you every possible route in the vicinity along with reliable, real-time arrival data, all with a sleek, intuitive interface. Tell it where you need to go and it will find your best route. Taking an unfamiliar trip? Use the GO feature to tell the app where you want to get off, and it’ll give you a heads up when you’re nearing your stop. Bonus: Transit is active in 125 cities around the world; open it up in NYC or Boston or San Francisco and it works just like you’re used to. The CTA’s Ventra payment system got a bad rap from its clunky rollout in 2013, but after the initial hiccups, it’s brought with it some welcome innovations. 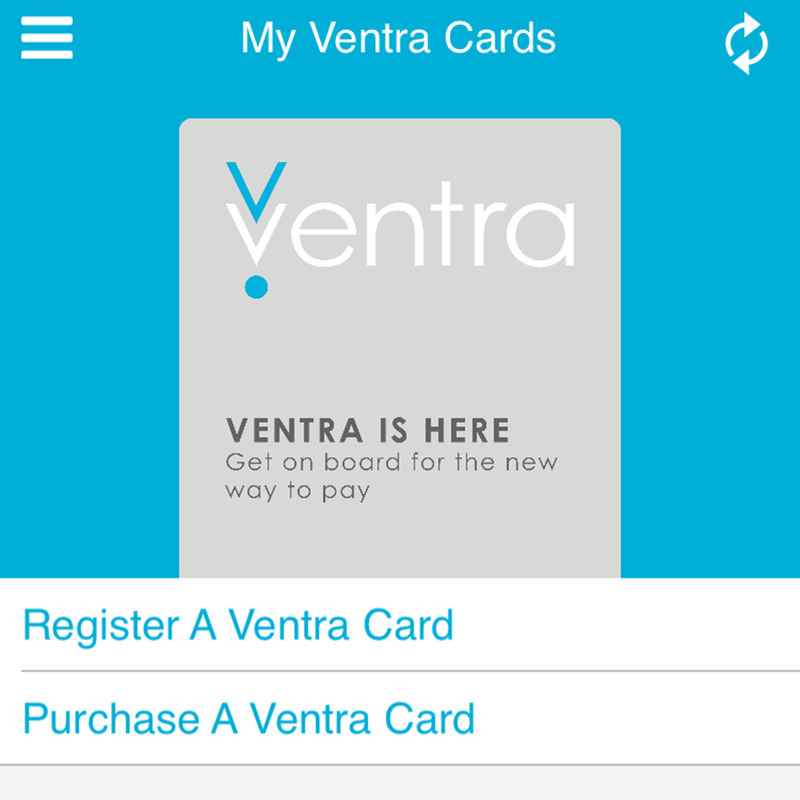 Take the Ventra mobile app, which debuted in 2015. 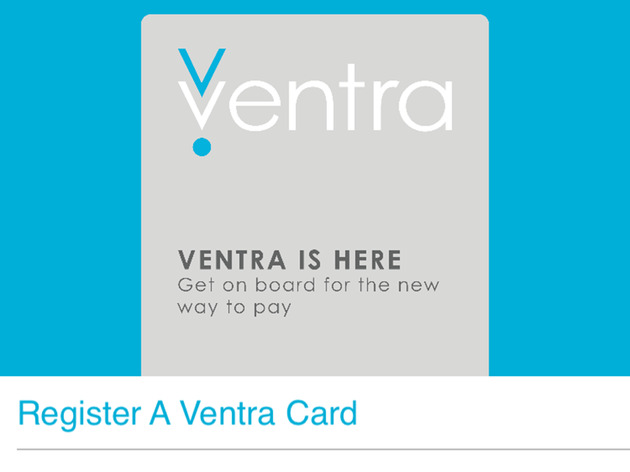 It allows you to reload the balance on your Ventra card while on the go without having to visit a vending machine. You still have to have a Ventra card in the first place—though we’re promised that using your phone to board on buses and at El stations is “something we plan to bring in the future”—but Metra riders can skip the lines at Ogilvie and Union Station and buy tickets directly on the app. The Ventra app also offers arrival and departure information for CTA, Pace and Metra. 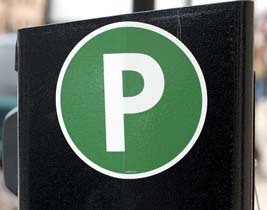 There are still plenty of reasons to be disgruntled about the city’s parking-meter privatization deal, enacted by then–Mayor Richard M. Daley in 2008. But if you’re looking for a silver lining, at least the old routine of going back to your car to feed the meter is a thing of the past. 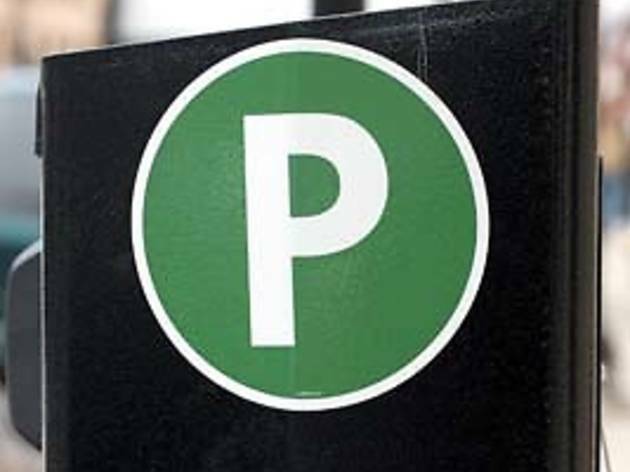 ParkChicago, the official mobile app of the company that now controls the city’s street parking, lets you create an account linked to your car’s license plate; then you can enter the zone number on any street parking sign to pay. Dinner’s running long? Add more time from your phone. 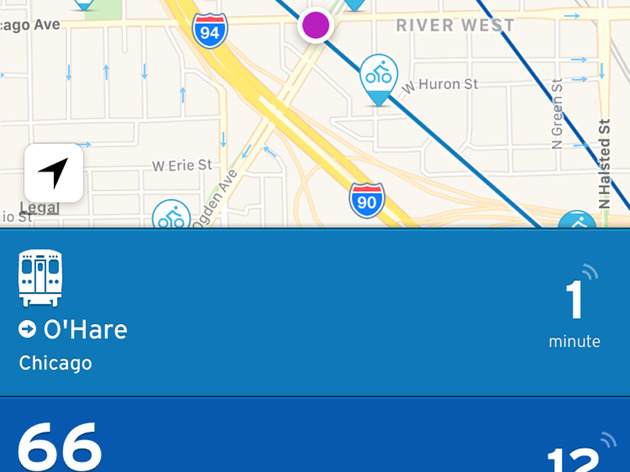 CycleFinder makes finding and returning Divvy bikes a snap. 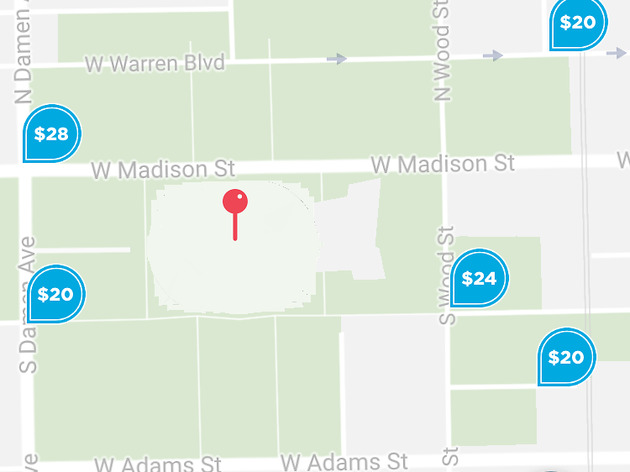 Open the app and instantly see a map of every bikeshare dock nearby, each with a metered icon indicating how full it is. 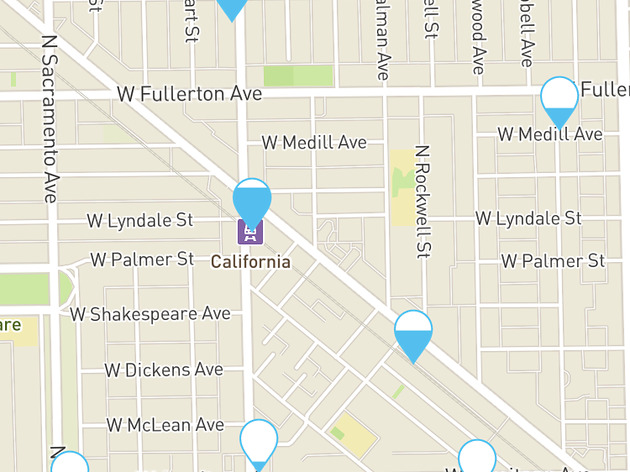 Once you reach your destination, bring up the app again to see where to drop off your Divvy. You can use CycleFinder without creating an account, but if you do log in and enable tracking, the app can measure stats like time, distance, average speed, calories burned and even CO2 saved, per trip and over time. 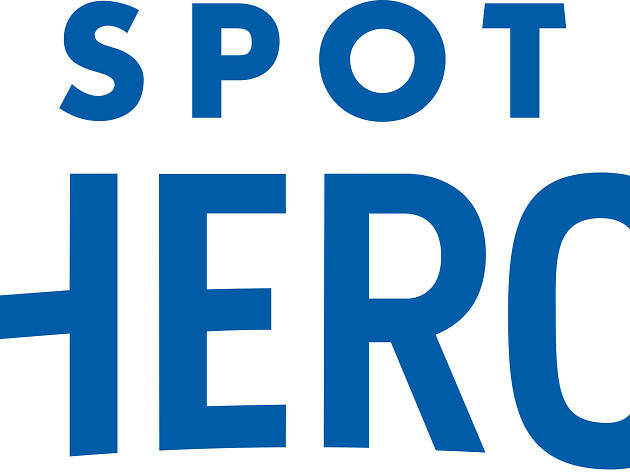 This more recent entry into the rideshare space is limited in range for now—the central ride zone is constrained by Roosevelt Road to the south up to Lakeview and Buena Park on the north and from the lake west to Western Avenue (Kedzie Avenue in Logan Square), with additional flat-fee service to O’Hare and Midway. 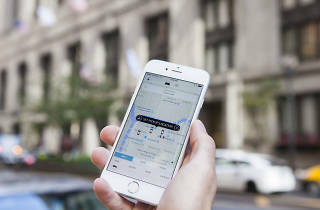 What distinguishes Via from Lyft or Uber is the way it optimizes routes—after you enter your starting and ending locations, the app gives you a nearby street corner where you’ll meet your driver to make the trip as efficient as possible, and it encourages splitting rides with other users so fares can be as low as $3. 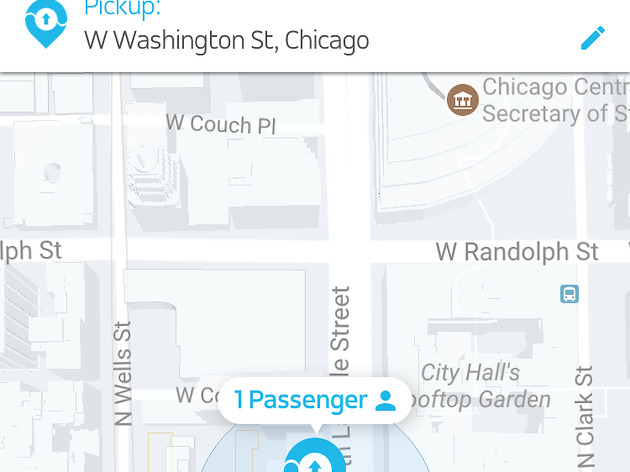 The decade-old, Chicago-based ParkWhiz began by offering web-based parking reservations at venues like the Lyric Opera and Wrigley Field, but has expanded into on-demand parking via its mobile app. 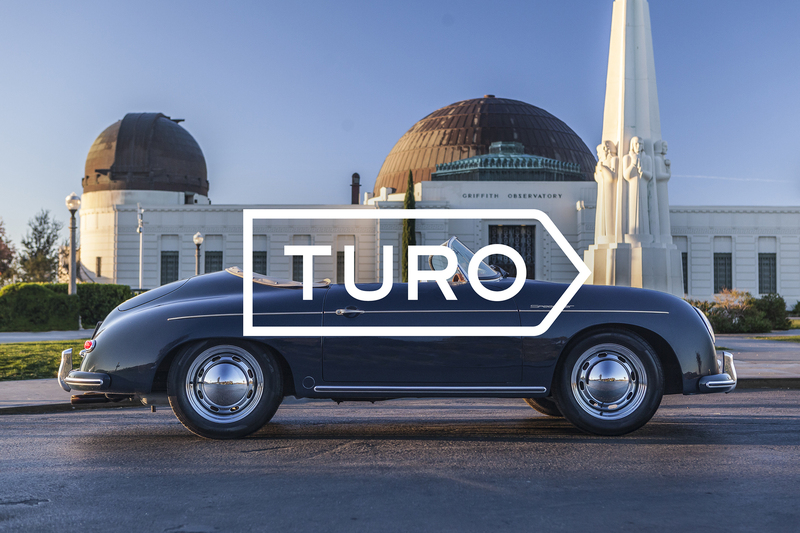 Enter your destination and duration and lock in a spot at a nearby lot or garage with upfront pricing. 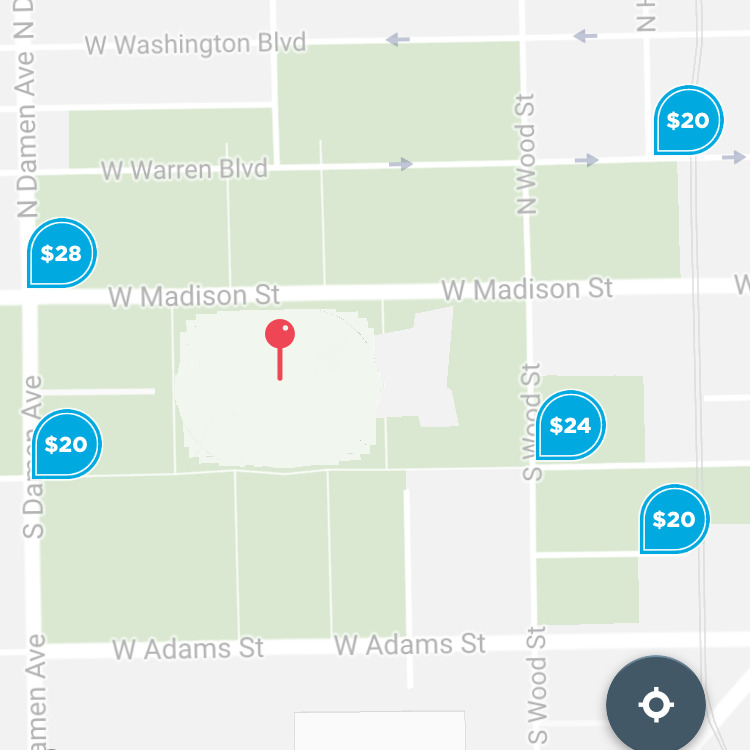 This newer parking app, also based in Chicago, works much the same as ParkWhiz and has expanded rapidly since its 2011 launch. 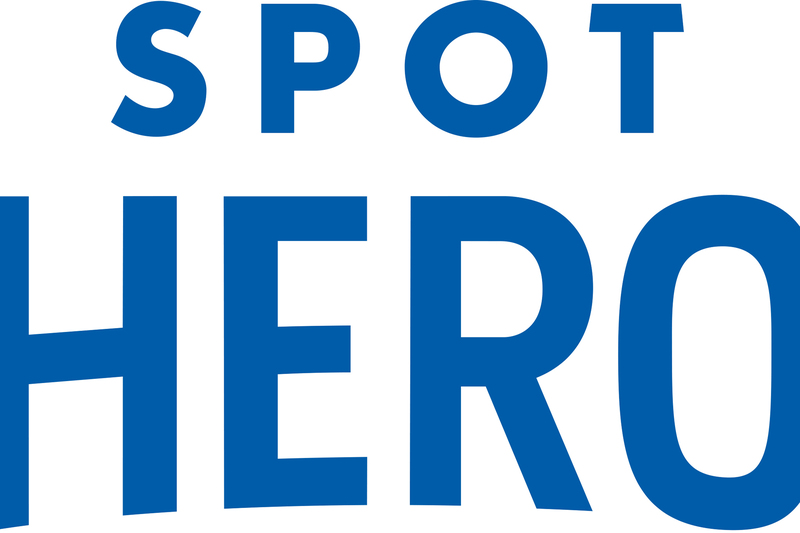 SpotHero secured $30 million in new funding in July 2017, which it plans to use to expand into new markets and develop new tools for parking management companies. 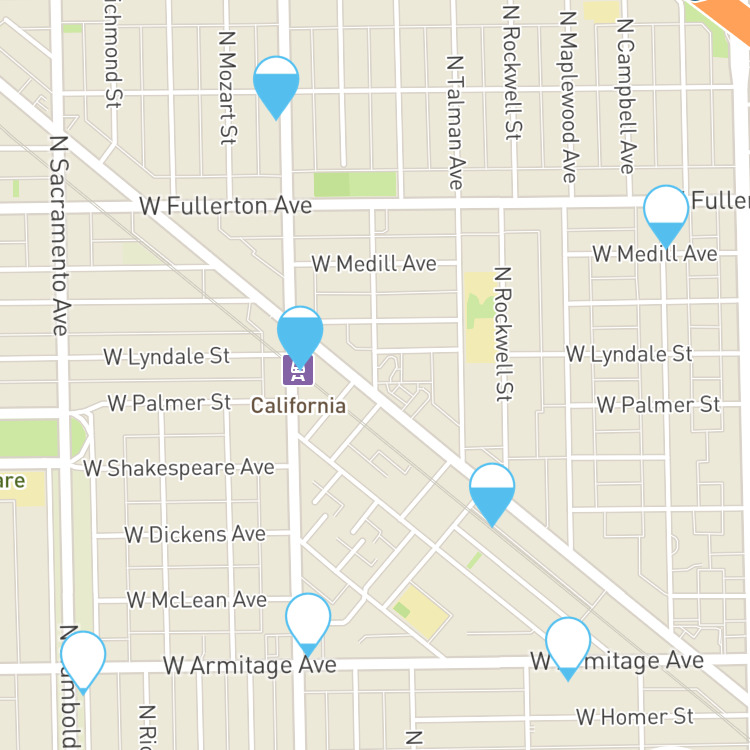 What that all means for you: more parking spots accessible from your phone. 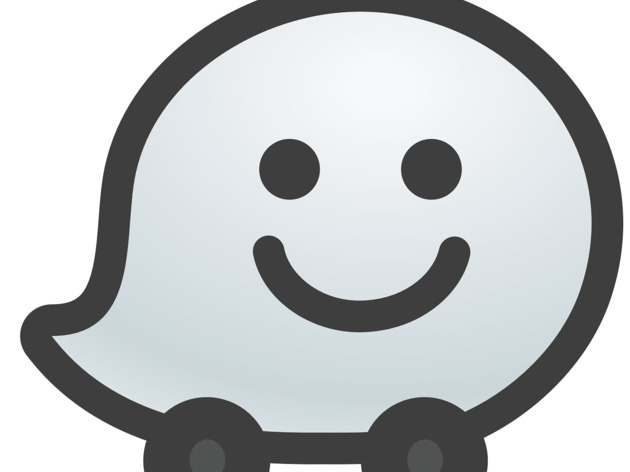 We tend to think of GPS navigator app Waze as a road-trip helper, but it’s just as useful when you’re driving in the city. 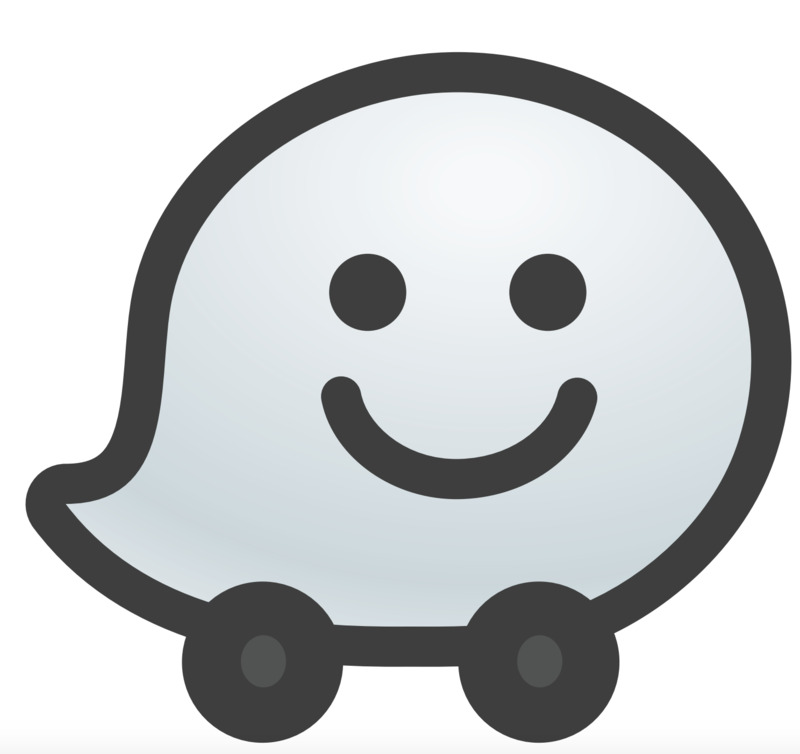 With the app’s users providing real-time updates on traffic, accidents, road closures and the like, Waze recalculates your routes to keep you moving. Silly but fun perk: The Google-owned app periodically offers its turn-by-turn directions in the voices of celebrities like Morgan Freeman or Mr. T; you can now also record prompts in your own voice. Need to hail a traditional taxi? (I don’t know, maybe you’re feeling nostalgic.) 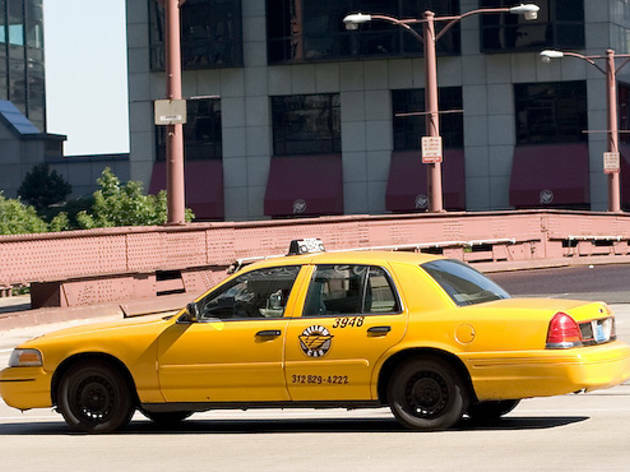 City-sanctioned taxi app Curb saves your atrophied cab-hailing muscles the trouble, allowing you to call the nearest licensed taxi to your location immediately or reserve a cab up to 24 hours in advance. What’s more, you can choose to pay through the app as well—no more “broken” credit card machines. 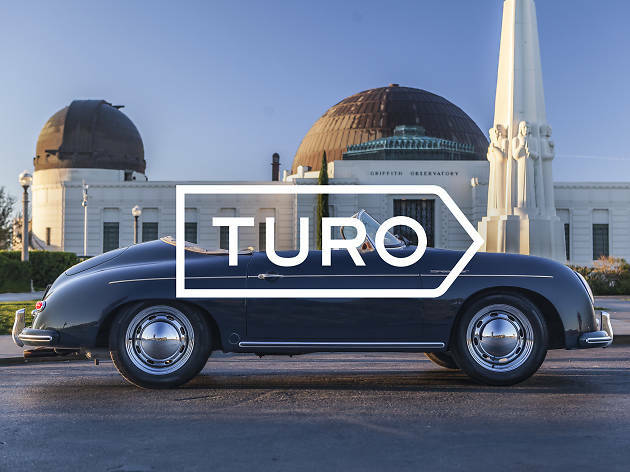 One of our editors calls this service “the Airbnb of car rentals,” and that pretty much nails the concept—driver-to-driver rentals let you book exactly the kind of car you need, or if you’re feeling fancy, the kind of car you want. (There were a remarkable number of Maseratis available in Chicago the last time we browsed the selections.) In some cases, you can even get the car you rent delivered to you.